Right in between the two big Jewish holidays! Roughly 2 months until Press and Pro applications open up based on previous years. We know, we know. 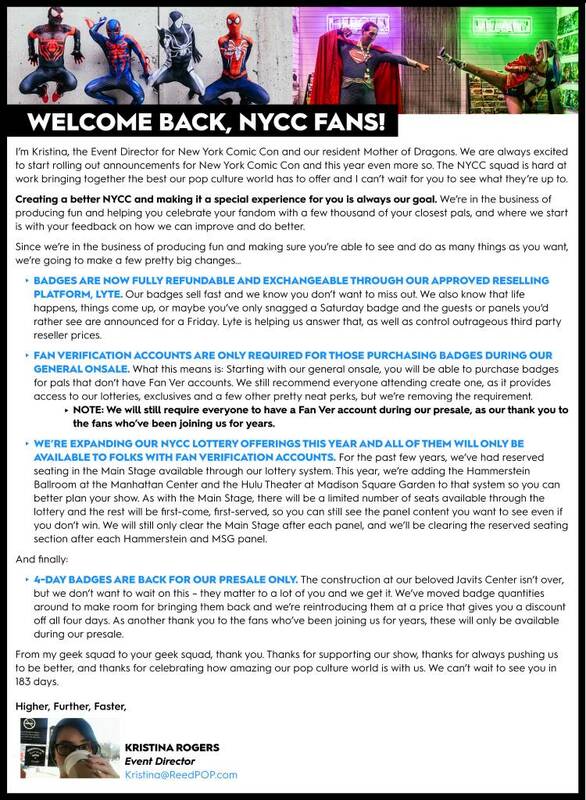 You were hoping this email would tell you when NYCC badges are going on sale. We promise we'll be sending out that information soon. Possibly another announcement related to tickets coming tomorrow. 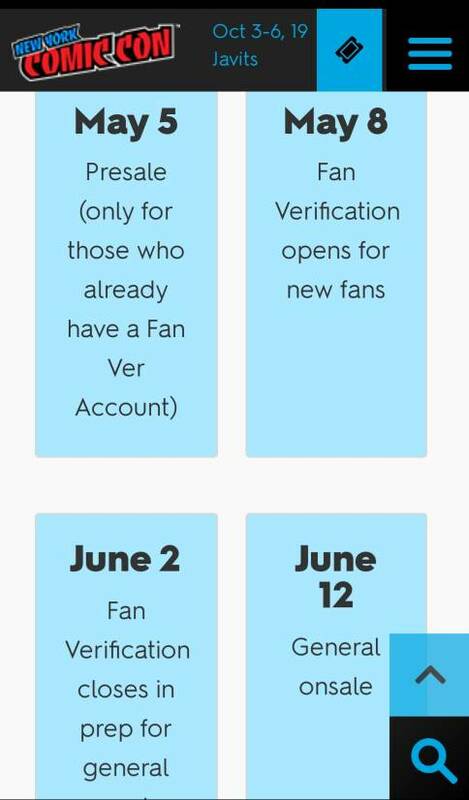 Fan verification dates, maybe? Press/pro still hasn't opened up yet. $190 for 4-day, in presale only. Hooray, 4 day passes! I was always so paranoid about putting on the wrong badge but also didn’t want to lug around all of them with me every day. Boo, more lotteries! I guess that means they’re cleaning Madison Sqaure Garden and Hammerstein after each panel like they do with Main Stage. Will we be running all over the place to get swipes for panels if we don’t win the lotteries? It did, and I think people can move from the reserved to the regular? I'm not sure how this will work out. Ok, thanks! I missed that part. I wonder how efficient that’s going to be and how they’ll make sure only the people who get to sit in the reserved seats sit there. Usually, you check in a certain entrance, you get a wristband, and they walk you in and to that section. I only had it once and it was annoying, they walked us in after the panel started and it was dark.